The Indian travel and tourism industry, family and friends today mourned the passing of Inder Sharma, former owner and chairman, SITA World Travels and Chairman, Select Infrastructure Pvt. Ltd. He was 86. A globetrotter, Mr. Sharma was associated with the travel and tourism industry for over five decades, travelling across the length and breadth of the world. After completing a six-month training programme at SITA World Travels in New York, Mr. Sharma returned to India in 1955 and opened SITA World Travels' India operations in 1956 and never looked back. Prior to the opening of SITA World Travels' India operations, Mr. Sharma's first job was with Mercury Travels in 1953 in Delhi as Transfer Assistant for a period two years. During that period, he got selected for training with SITA World Travels. Mr. Sharma lived his life by the motto that "whatever we do, we must try to get into the best of the league in that profession." He used to say that the most important rule of the travel business was client satisfaction, and believed that as long as the customer was satisfied, the business would grow. The other factor that helped to take his travel and tourism business forward was time management, which he said, should be part of anyone's upbringing. And, a third factor; was to be honest to the profession that you take up. In recent interviews before his passing, he said that he always remembered the pearls of wisdom his father gave him, which was to treat others the way you want to be treated by them in every walk of life. During his lifetime, Mr. Sharma loved to travel, because it gave him an opportunity to explore and learn new things. He used to say that travelling must be undertaken with an open mind as there was much to learn about one's surroundings through sharing of knowledge and meeting with people, both at home and abroad. One of the things Mr. Sharma used to look forward to doing was to meet six of his friends every day before noon at The Imperial Hotel in New Delhi's Janpath area for about an hour. One of these friends was Mr. Prem Prakash, Chairman of ANI Media (P) Ltd. Expressing his sorrow over the passing of Mr. Sharma, Mr. Prem Prakash said, "He was a very dear friend and a brilliant student at Hindu College, Delhi University, and at a time when India was a newly independent and young country, there were a number of opportunities that were on offer and open for youngsters. 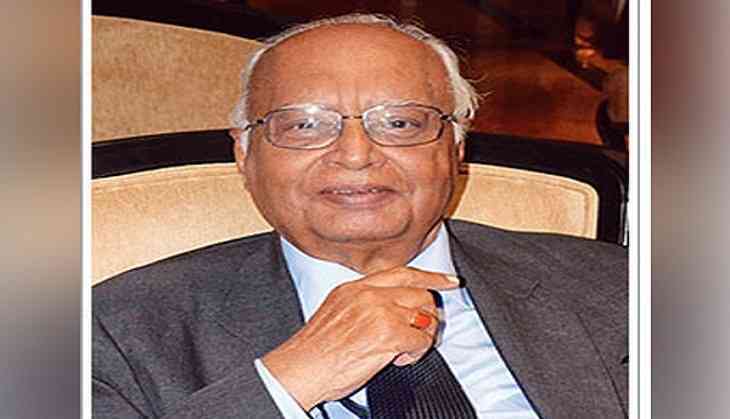 It was at that time, that he (Inder) took to the travel and tourism industry, and in due course, became the father of the Indian tourism industry." Before retiring from the travel business, Mr. Sharma said the meeting with friends used to take place at 11 in the morning, but added that after retirement, timing and duration both changed. Mr. Sharma liked to keep himself abreast of happenings around the world, and as a habit, read at least four newspapers. Before suffering from a stroke in 2009, he used to walk for three to four kilometers in the morning. He always regarded Gaylords in London as his favourite eating out place as in his view it provided the "best Indian food." During his lifetime, Mr. Sharma received numerous awards for his contributions in the field of travel and tourism, including Padma Shri in 1990. He was also a recipient of the British Tourism Authority with the Holder of the Keys to Britain Award in 1980 and he is the only Indian to have been so awarded. He was declared the Holder of the "Key to the City of Manila, 1983". He was inducted into the "Hall of Fame" in 1993 by the Indian Association of Tour Operators (IATO) and awarded the "The Agasthya Award" in 1993 by the Travel Agents Association of India (TAAI) for his achievements in travel and tourism. He was honored with the life membership of PATA at the 44TH Annual Convention held at Auckland in April 1995 and received the "Friend of Nepal" award from the Government of Nepal in 1998. The Government of Sri Lanka also gave him an award for his efforts to promote tourism to Sri Lanka in 1998. The awards that he received included the Presidential Award by PATA;Life Time Honorary Professorship of the Institute of Tourism and Hotel Management, Bundelkhand University (2003); Life Time Achievement Award of the Federation of Indian Chambers of Commerce and Industry (2003); First Life Time Achievement Award constituted jointly by TATA AIG and Indian Express (2005); Life Time Achievement Award by the Association of Domestic Tour Operators of India (2007); Life Time Achievement Award 2007 by the World of Travel and Tourism; Life Time Tourism Award for Outstanding Contribution to Tourism Industry by Federation of India Chamber of Commerce and Industry; Today's Traveller Lifetime Achievement Award presented by then Minister for Tourism and Culture Ambika Soni (2007) and the SATTE Life Time Achievement Award (2009). Mr. Sharma, a Padamshri awardee (1990), passed away from age-related health complications and is survived by his wife Dr. Aruna Sharma, son Arjun Sharma and daughter Mrs. Neeraj Ghei. Mr. Arjun Sharma is the Chairman of Select Group, a business house that has diversified interests in retail industry, real estate, travel and tourism, hospitality and retail industry. Mrs. Neeraj Ghei is a director of the group.